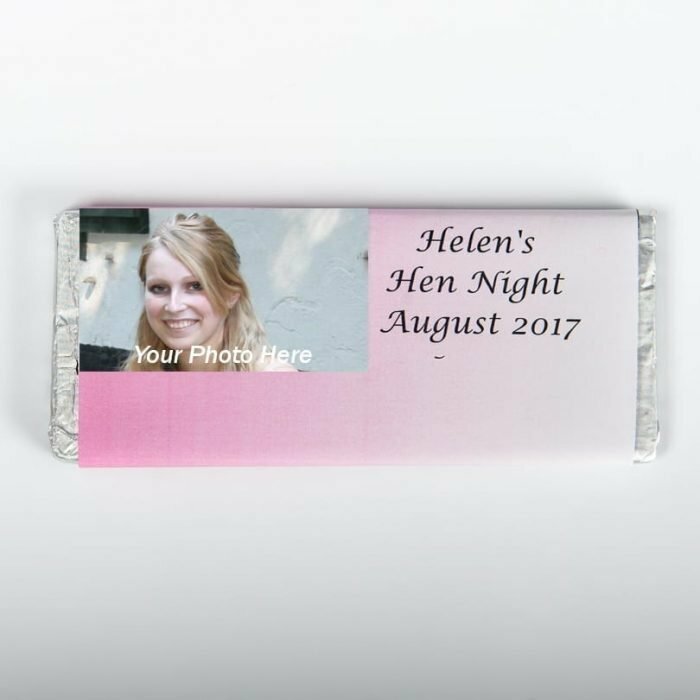 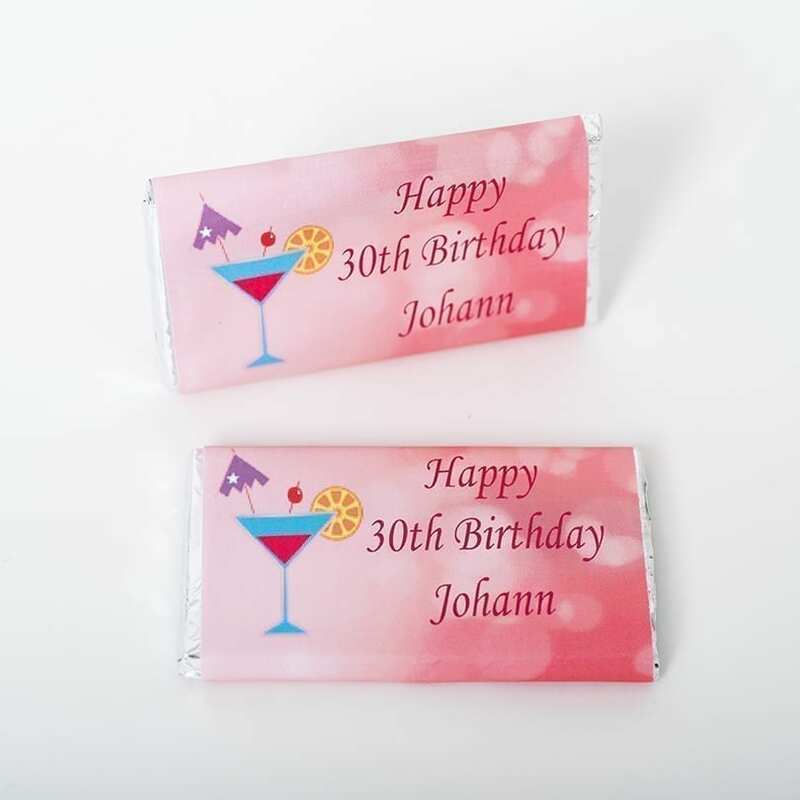 A photo chocolate bar wrapper is a lovely way to celebrate any occasion. Great for hen parties, birthdays, anniversaries and weddings. 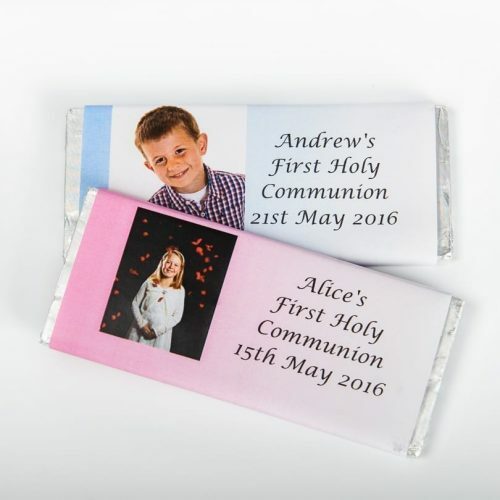 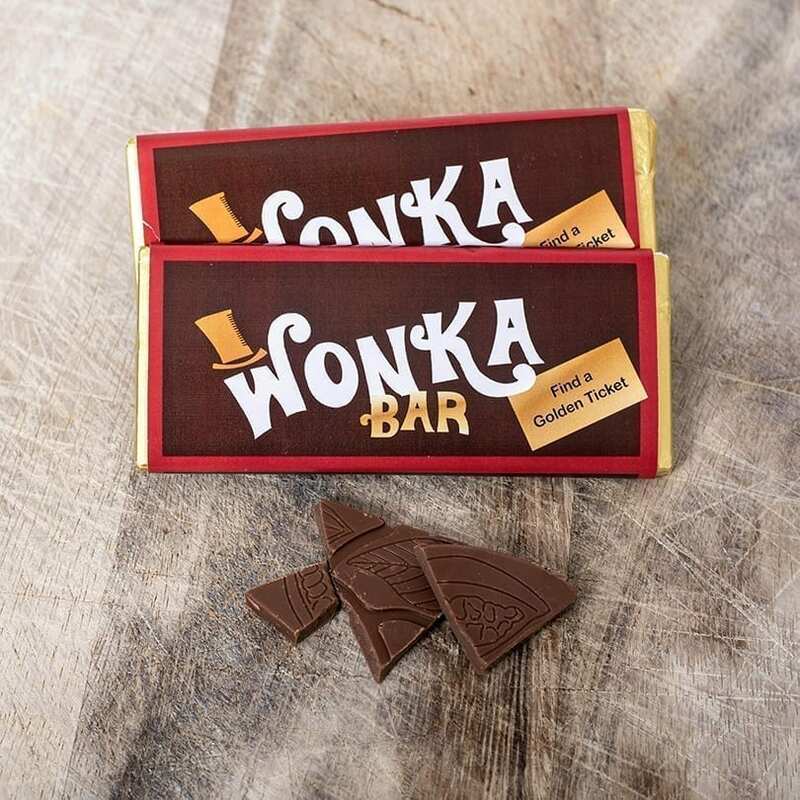 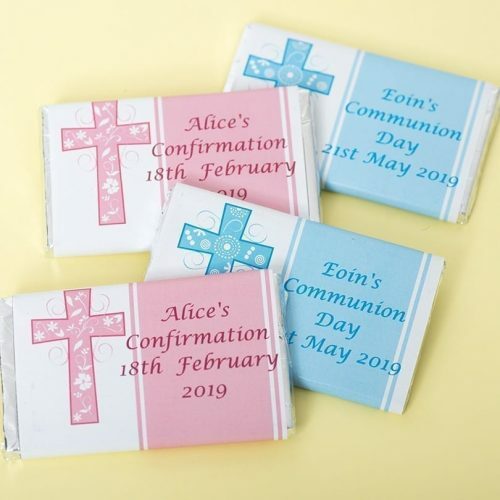 These wrappers can be personalised on the front and the back and comes with our standard 40g bar of milk chocolate.